Maximum profits. Great Taste. Unlimited Flavors. 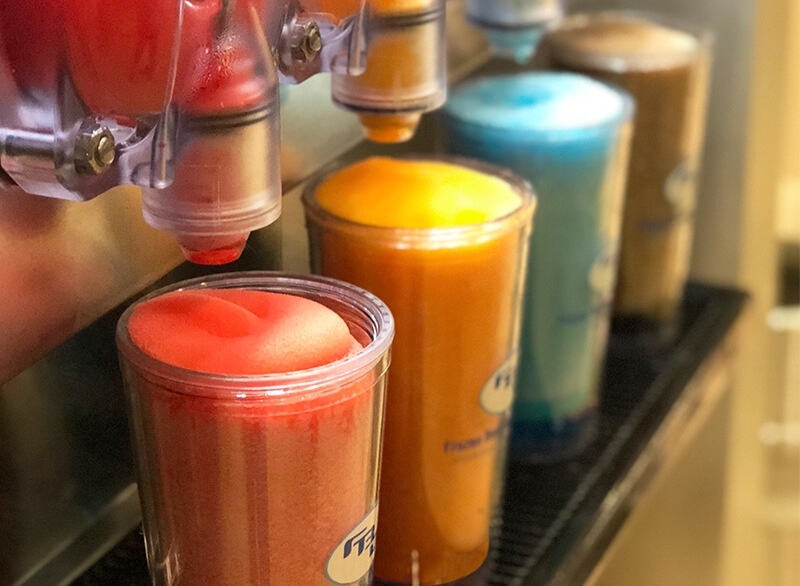 Consumers are on a continuous quest for fun, on-the-go experiences, and frozen, carbonated beverages offer more advantages than slush. 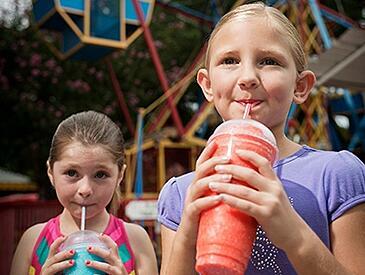 It’s more profitable than slush, and it’s also more smooth and crisp, while remaining highly flavorful. 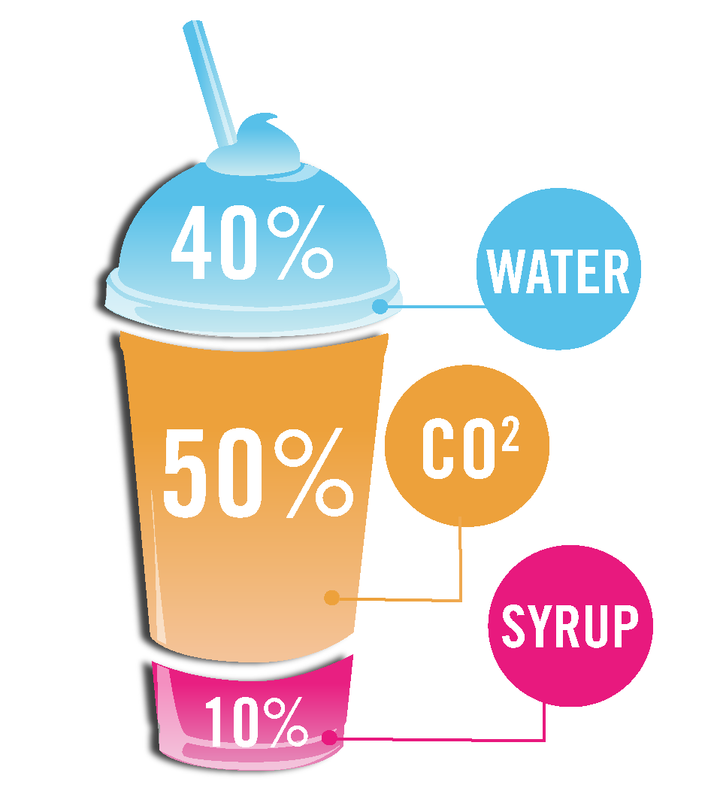 Frozen Carbonated Beverages are highly profitable, given that 50% of a poured drink is CO₂ (air) & 40% is water. The margins are up to double that of canned beverages and potentially 20% higher than fountain drinks. 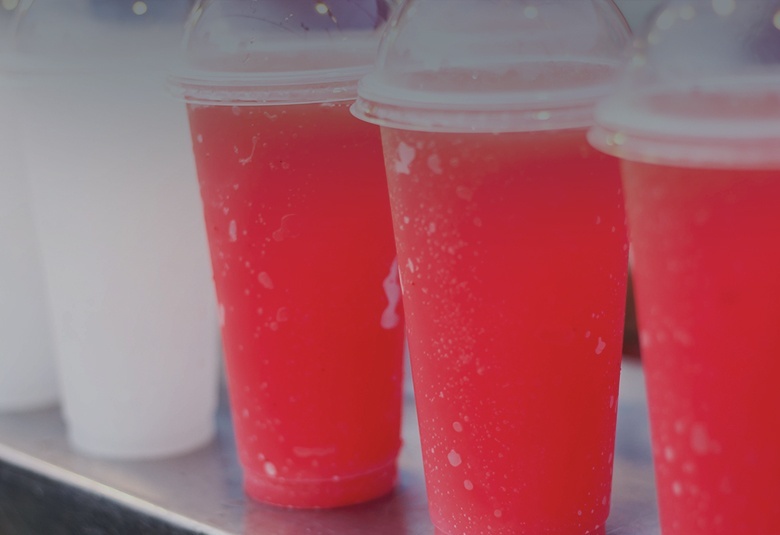 In comparison to fountain drinks, frozen carbonated beverages benefit from higher price points and less promotional expenses, especially during the summer! 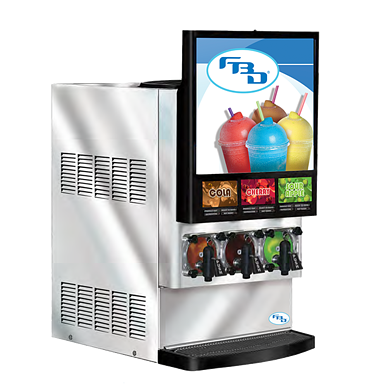 Depending on foot traffic and sales, a frozen beverage dispenser with a frozen carbonated drink program can pay for itself in 12 to 18 months. 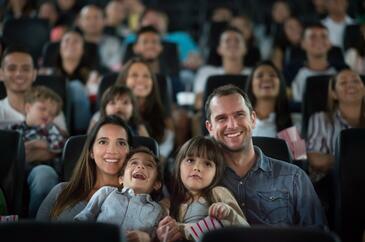 In channels such as movie theaters, in as little as 3 to 6 months. 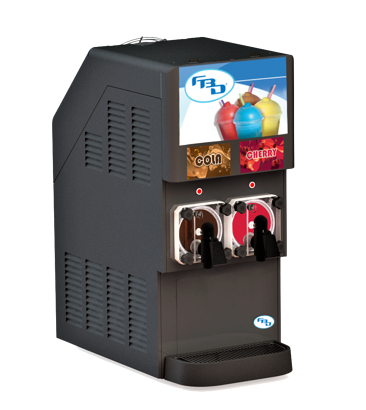 With virtually unlimited options when it comes to syrup flavor and color, you can satisfy every customers’ frozen beverage desires! Frozen Lemonade, Frozen Coffee, and sugar-free varieties meet the demands of customers who prefer fresh, healthier options. Whether you are serving Generation Z, millennials or baby boomers, you can provide a drink choice everyone will love. The use of a closed sealed system, in conjunction with bag- in-the-box technology (BIB), means you do not have to take your unit apart to clean. Your store staff can save up to 1-2 hours of cleaning time compared to other equipment options that require frequent cleaning. FBD dispensers are engineered for low maintenance. 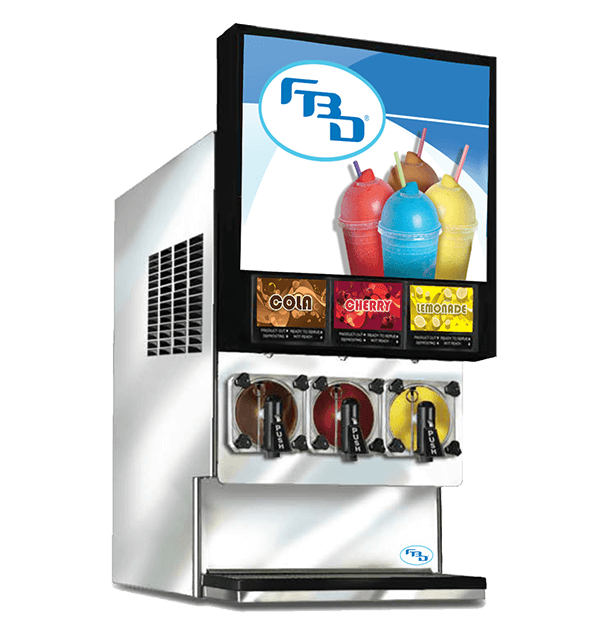 FBD offers the lowest total cost of ownership in the industry, making it easy to implement a profitable frozen beverage program at the store level. 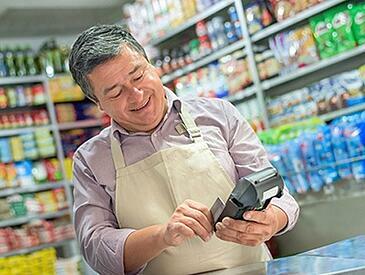 “FBD has been a valuable partner for our company for many years now. 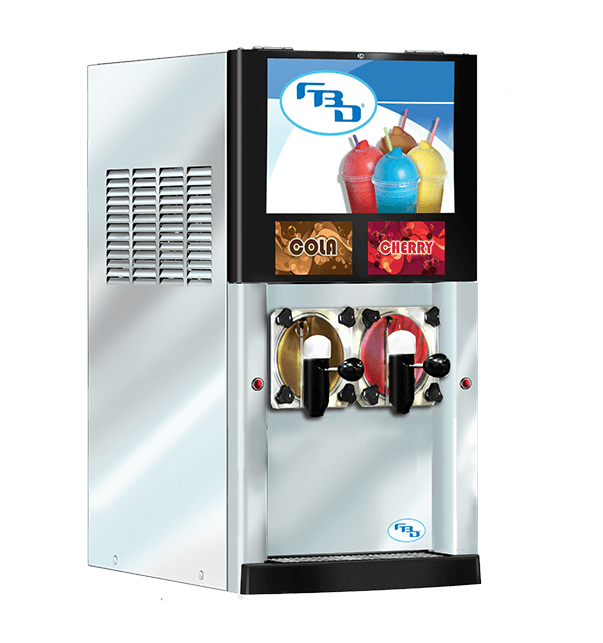 The dispensers have become an integral piece of our equipment in providing a quick frozen treat that our guests crave!" 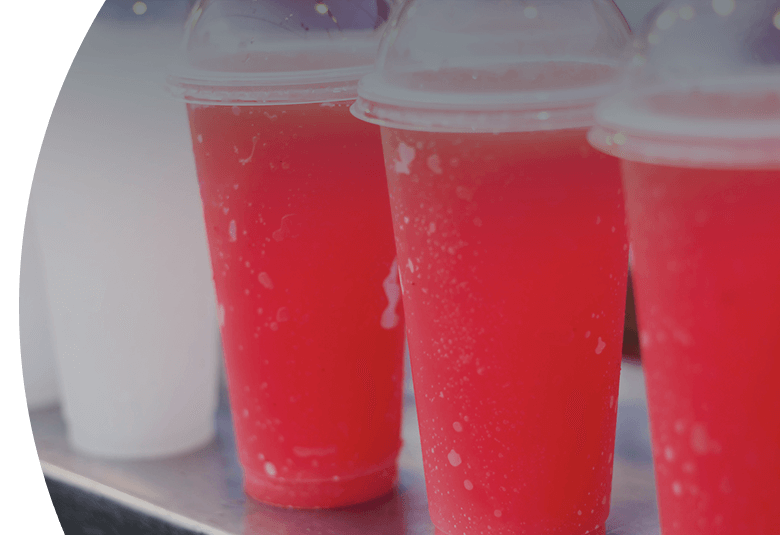 More than 50,000 businesses across the globe have a Frozen Carbonated Beverage program, and the demand continues to rise. Built for the smallest spaces and low traffic. Pours up to 1,320 oz./hr. Designed for small spaces and steady traffic. Pours up to 1,800 oz./hr. Engineered for the best value. Pours up to 3,840 oz/hour. Highest capacity, ideal for high volume locations. Pours up to 5,160 oz/hour. 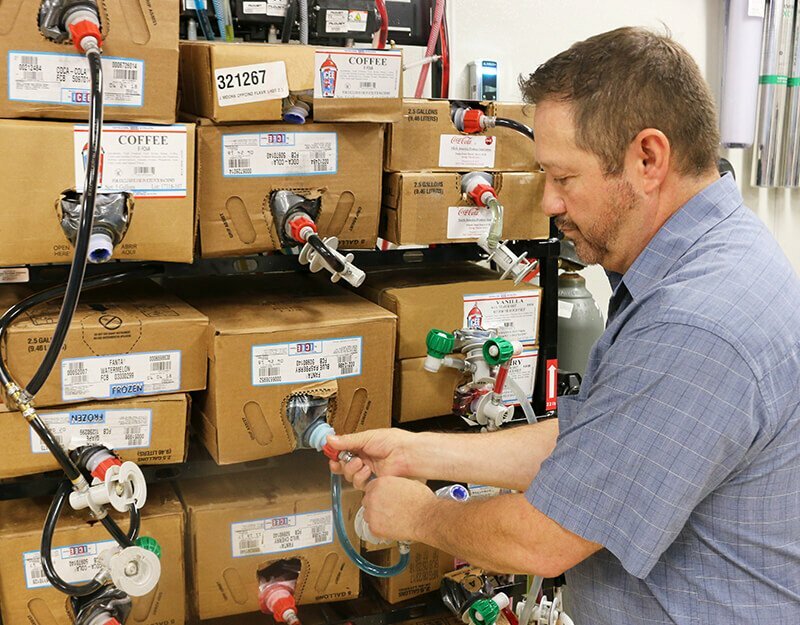 Higher capacity dispensers ensure you have enough product during peak times with high foot traffic and customer demand. Easy to clean and maintain, constructed with fewer parts, designed for maximum uptime, and an expected lifespan of 7+ years.